The second album from this legend (and current Brazilian Minister of Culture) is one of the earliest, and most important, documents of the Tropicalia movement. Featuring help from Sao Paulo eccentric geniuses, Os Mutantes, Gil's 1968 release marries British psychedelia with mutated samba rhythms and lush orchestration. 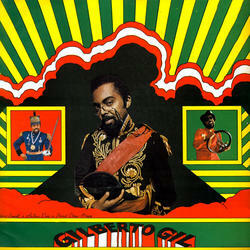 Though it is one of Gilberto Gil's most pop oriented albums it is no less innovative than his later, more experimental, recordings. A superb record from one of Brazil's most influential post bossa nova artists.